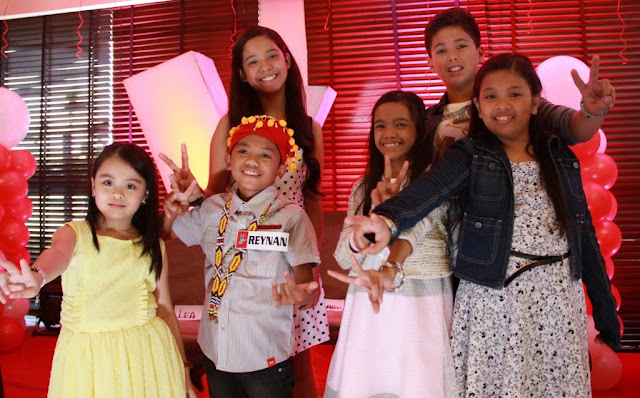 MANILA, Philippines - Six young artists are ready to fight it out this weekend (August 22-23, 2015) as they sing for public votes in the live semi finals round of “The Voice Kids” on ABS-CBN. Who among Kyle Echarri and Zephanie Dimaranan of Team Sarah, Elha Nympha and Sassa Dagdag of Team Bamboo, and Reynan Del-anay and Esang De Torres of Team Lea will receive the loudest cheer? The four artists who will get the highest percentage of votes from the public will move to the grand finals next week (August 29-30). This means that one of the coaches might have no representative in the grand finals, or have two star artists who will complete the Final 4, just like what happened to coach Sarah in Season 1. Make sure to tune in to the semi finals as the full voting mechanics will be revealed during the live show. “I believe they will be up to the challenge of live shows. They know how to tell a story and their hearts are strong and big,” said coach Lea Salonga about her top artists Reynan, 11 and Esang, 8, the youngest artist in the Top 6. Reynan touched viewers in the pilot episode of the competition where he wholeheartedly sang “Tagumpay Nating Lahat” and even impressed the coaches when he said he wanted to make his Manobo tribe in Bukidnon proud. And from being coach Lea’s “Mini Me” in “It’s Showtime,” Esang got the coveted three-chair turn in her blind audition and has never looked back since. Coach Bamboo, meanwhile, sees real potential in his two remaining artists Elha, 10 and Sassa, 12. Belter and banana cue vendor Elha entered the vocal competition to help her family. Now, coach Bamboo helps her reach her full potential to achieve her dreams. Coach Sarah, on the other hand, promises to help Kyle, 13 and Zephanie, 10 get better and make them shine on stage. Kyle, the football heartthrob of Cebu, was the first-ever young artist to appear in the Season 2 of “The Voice Kids,” and since his blind audition, he has charmed viewers with his good looks and sweet voice. Not to be outdone is the young diva from Laguna, Zephanie, who has shown a lot of improvement in the Sing-offs with her explosive and fun performance, a far cry from the reserved artist audiences saw in the blind auditions. Whose voice will prove the strongest? Which artists will advance to the grand finals next weekend? Since “The Voice Kids” Season 2 premiered on Philippine television, viewers nationwide have watched the kids share their dreams and sing their hears out, making it the most watched TV program in the country in June and July. It recorded its all-time high national TV rating of 46.3%, based on data from Kantar Media. Don’t miss the live semi finals in “The Voice Kids” Season 2 this Saturday (August 22), 6:45PM and Sunday (August 23), 7PM.